Pongal is also known as Makara Sankranti. It is observed on Wednesday 15 January. In Tamil Nadu Sankranthi is known as Pongal. In India, Makar Sankranti is a Major harvest Festival. It is one of the few Hindu Indian festivals which are celebrated on a fixed date it varies between three days 13,14 and 15 of January every year. Makara Sankranti is the starting of Uttarayana Punyakalam. In a year they are 12 sankrantis because the sun transit from one zodiac to another. 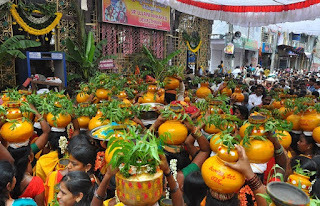 Sankrathi is celebrated for Three days. Bhogi, Makara Sankranti or Sankranti and Kanuma. 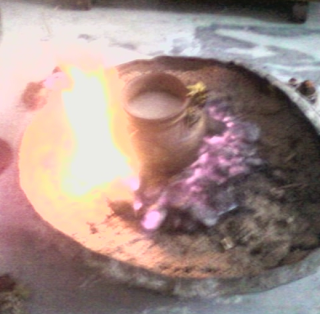 Bhogi is the starting of Festival. Makara Sankrathi Is a Festival Of God Sun. The Sun stands for knowledge, spiritual light and wisdom. All across North and West India, flying kites and feasting on rice and sweets made from sesame seeds is an integral part of the festivities. In Gujarat and Rajasthan Makar Sankranti is known as Uttarayana. In Haryana and Punjab Makar Sankranti is known as Maghi. Makar is a Sanskrit that literally means Capricorn whereas Sankranti denotes transition. Makar Sankranti marks the end of winter, when the sun moves into the northern hemisphere. Sun transit from Dakshinayana to Uttarayana. Sankranthi is the beginning of Uttarayana Punyakalam. Sankaranthi is the season at this time harvest will be completed and all grains will come to home. Makar sankranti is a biggest harvest festival. The festivities include sweets made of Rice, jaggery, green gram and sesame. The significance of Uttarayana Punyakalam is at the Mahabharata times when Bhishma did astrasanyam waited till this day to depart so Arjuna built the bed with the arrows. Popular belief is that one who dies on this day gains moksha and has no rebirth. On the Occasions Of Makara Sankranti people wake up early and finish their regular activities like head bath, cleaning house. The word Pongal means boiling over of milk and rice. It is celebrated by boiling rice with fresh milk and jaggery in new clay pots. The rice is later topped with sugar, ghee and cashew nuts for sweetness and taste. The rice is traditionally cooked at sun rise. People will consider it as a good sign to watch the milk boil over as it connotes good luck and prosperity.